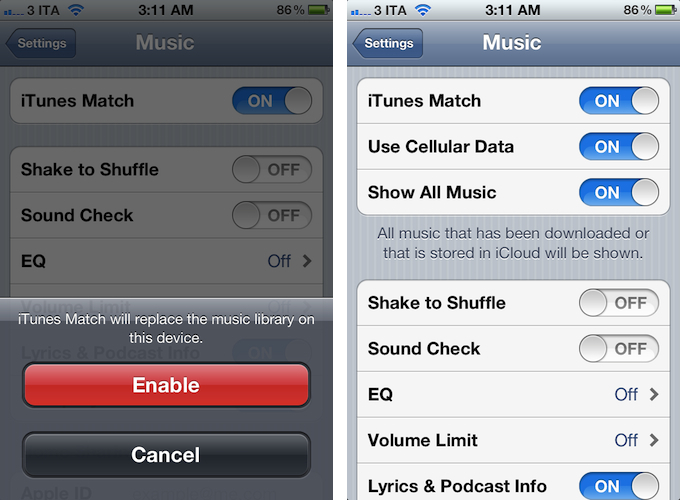 Whilst the update of iTunes' terms and conditions to include additional iTunes Match certainly confirms the company has made progress on obtaining rights to launch the service, it should also be noted that, back in February, Japan was rumored to be getting support for iTunes Match soon. 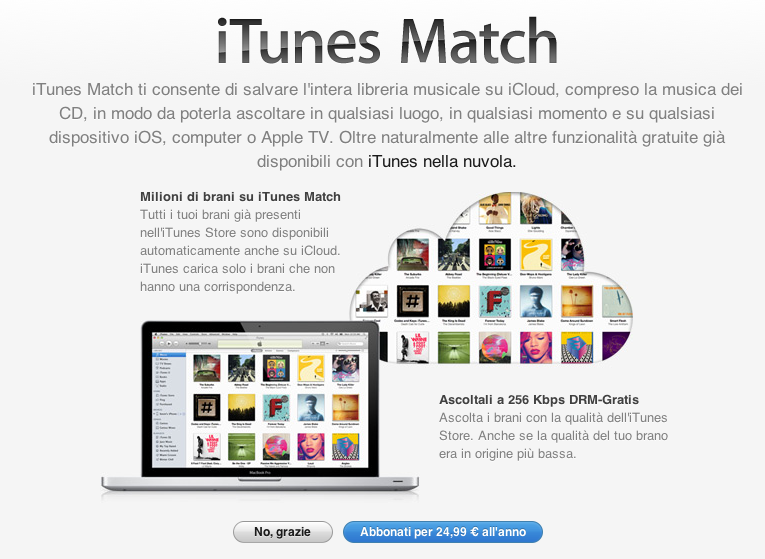 In the case of Japan, however, only support for iTunes in the Cloud was spotted (and was eventually launched), whilst today's updated agreement specifically mentions iTunes Match in Italy. Update: Greek iPhone reports the updated terms and conditions including iTunes Match information have gone live in Greece today as well. Update #2: We're getting reports that iTunes Match is showing up alongside iTunes in the Cloud in Austria, Slovenia and Portugal as well. 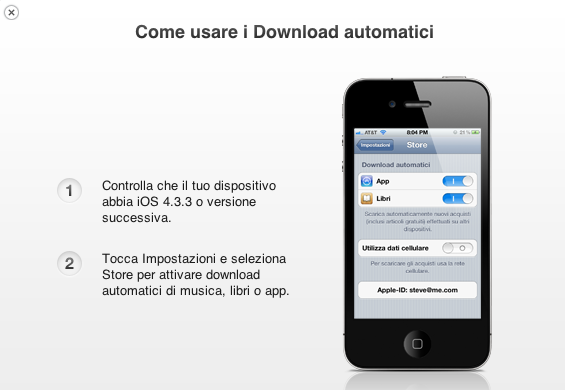 Here's a screenshot from the Austrian iTunes Store courtesy of @kronawetter. 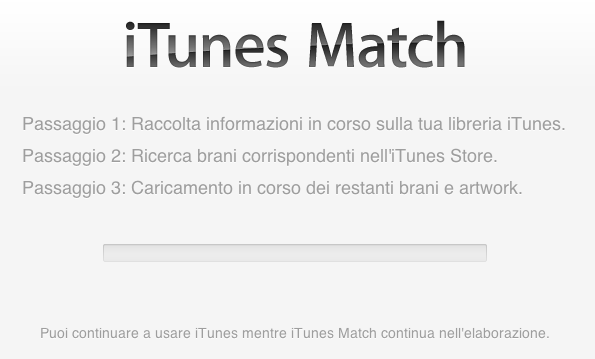 Update #3: iTunes Match is now live in Italy, with yearly subscriptions priced at €24.99. 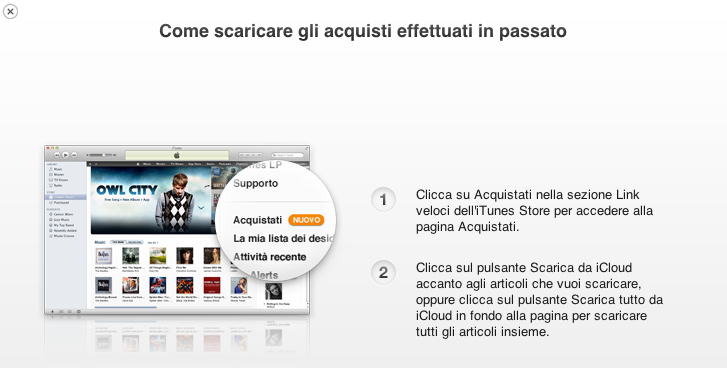 You can activate iTunes Match in Italy by following this link. 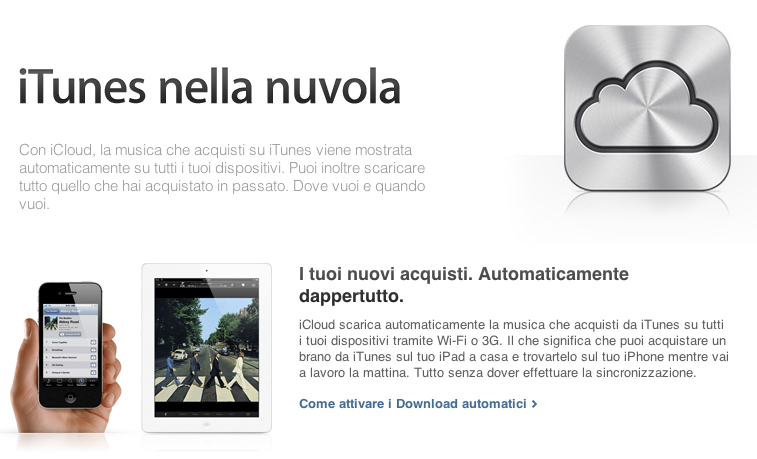 As for iTunes in the Cloud, the Italian Store now has a Purchased section to re-download previously purchased music, apps, and books. 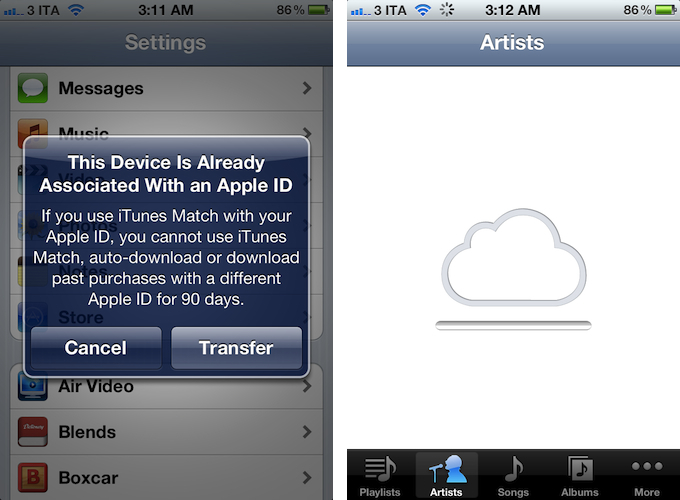 Automatic Downloads, however, have only been enabled for apps and books. 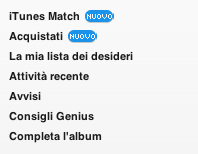 Update #4: As of 3 AM local time (May 1), iTunes Match started working in Italy, and Apple began promoting the new service on the Italian iTunes Store homepage.